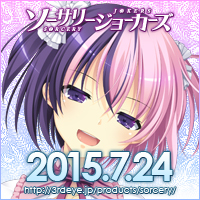 I recently switched from using machine translators to using Mecab and Jparser to play eroge. As you can imagine, this method of playing is more difficult. However I feel that I get more out of playing eroge this way and I intend to keep using this method. I intend to add a small section to my ATLAS guide to cover this play method after I have used it a bit more. The reason I mention this is because Walkure Romanze is the second game I played using this ‘no machine translators’ method. 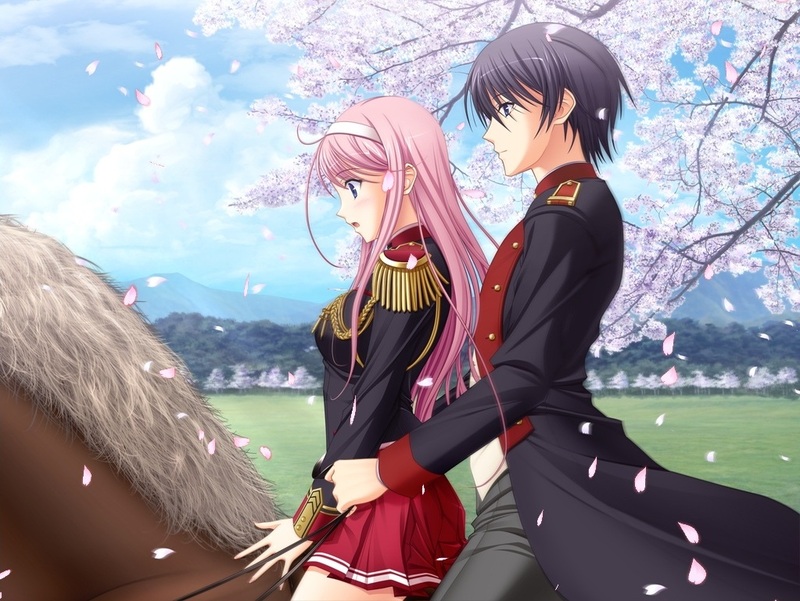 As a side note, the first game I played was Kurano-kunchi no Futago Jijou and the third game was Majikoi A-1. Fuzzy provided all the images that are in this post, along with the accompanying comments that appear when you hover your mouse over them. Along with this, Fuzzy has kindly written up a summary of the jousting rules which I’m sure that potential players of the game will find useful. It can be found at the end of this post. Greetings all! 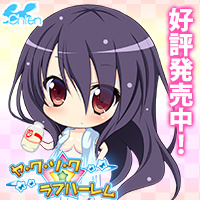 I’m a long time reader of this blog and other English eroge blogs. 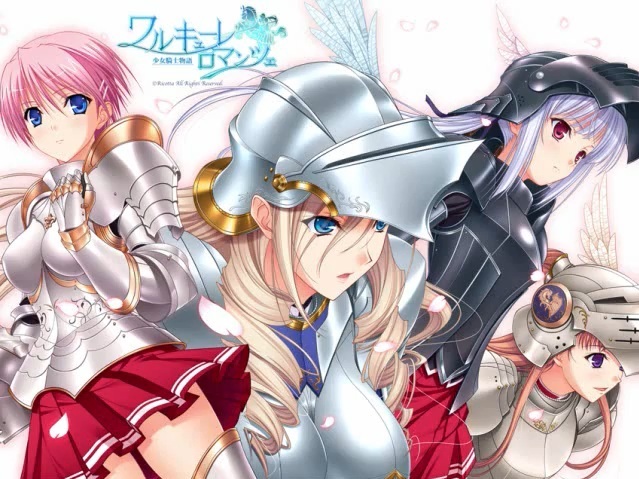 When Aero expressed an interest in Walkure Romanze, I “gently” encouraged him to try the game. I still use ATLAS, but Japanese proficiency-wise, I suppose my level is at what Aero’s was before he made the non-ATLAS jump. Anyways, whether I contribute more reviews to this blog in the future is up to Aedes and Aero. So let’s get the show on the road! The protagonist of the story, Takahiro, studies at a prestigious academy where jousting is the main sport. Takahiro was once a promising knight, but he retired from jousting due to a past incident. Now he is a begleiter, something like a knight’s assistant/advisor, although he idles the days away with his friends and horseback riding. The new school year begins and he is soon approached by two female knights requesting him to be their begleiter for the upcoming annual tournament. One is Noel, a knight with a mysterious background; the other is Celia, the student council chairman and the current school champion who has won 2 years in a row. As he ponders these requests, Takahiro’s childhood friend, Mio, somehow ends up being forced into a jousting duel. Wanting to help out his friend, Takahiro decides to become Mio’s temporary begleiter. To you loyal readers out there (if any), I’m sorry about the lack of activity around here recently. I have basically NO idea what the other two are doing, but the holiday season made me very lazy. Also among the other things that happened in RL, I recently received notification that I’ve passed the first stage of the JET Programme application process. So yeah, they told me my interview will be on the 7th of February. More importantly, last Friday I was basically checking Anime-Sharing every hour to check if Majikoi A-1 was out. 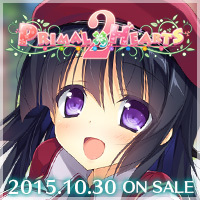 Yes that’s right; an eroge release was more important to me than prospects of working in Japan. Honestly I was a little surprised myself =p. Anyway it’s time to talk about Majikoi A-1. A-1 is the first of the 5 Majikoi A fan-discs and it features routes for Benkei, Azumi and Sayaka. For those of you who don’t already know, I am a HUGE fan of the Majikoi series and I often find myself daydreaming about it. Among the Majikoi heroines, Benkei is one of my favorites. So as one might suspect I was SUPER looking forward to A-1.